The calculated EMI for Volvo XC40 is Rs. 77,185 per month @ 10.5%	for a tenure of 60 months for a loan amount of Rs. 35,91,000. 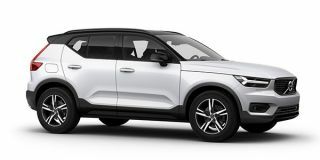 Check out the ZigWheels EMI calculator to find the best car finance for Volvo XC40 or calculate loan interest rate and equated monthly instalments(EMI) by entering the amount of car loan that you wish to take. The ZigWheels EMI calculator calculates instalment on reducing balance. EMI in advance: You pay one EMI instalment in advance to the bank. This amount is deducted from the loan amount disbursed to the dealer. Thus it gets added to the down payment that you are to make. 2019 Auto Shanghai Wrap Up: Next-gen Hyundai Creta, Renault Kwid EV, And More!